Back to school season is starting again which means clothes shopping is on the list to do. 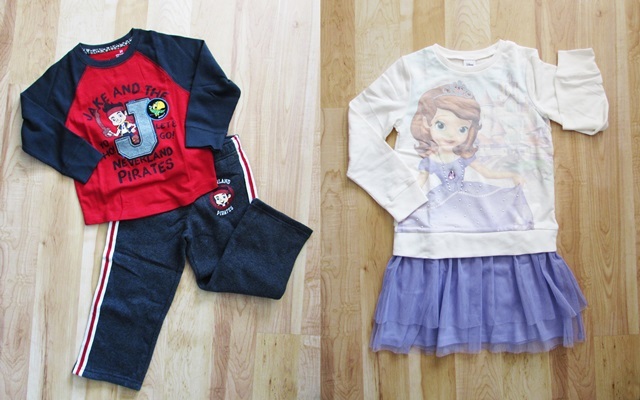 Luckily kids will be able to take the magic of Disney into the classroom with new Jake and the Never Land Pirates and Sofia the First apparel by Jumping Beans. This marks the third collection of the one-of-a-kind collaboration between Kohl’s and Disney named Magic At Play. Where the spirit of Disney and their beloved characters are paired with fun, unique, comfortable, and stylish apparel pieces for children ages infant through kids. Past collections have included a Minnie and Mickey Americana collection, and most recently the Planes: Fire and Rescue collection. 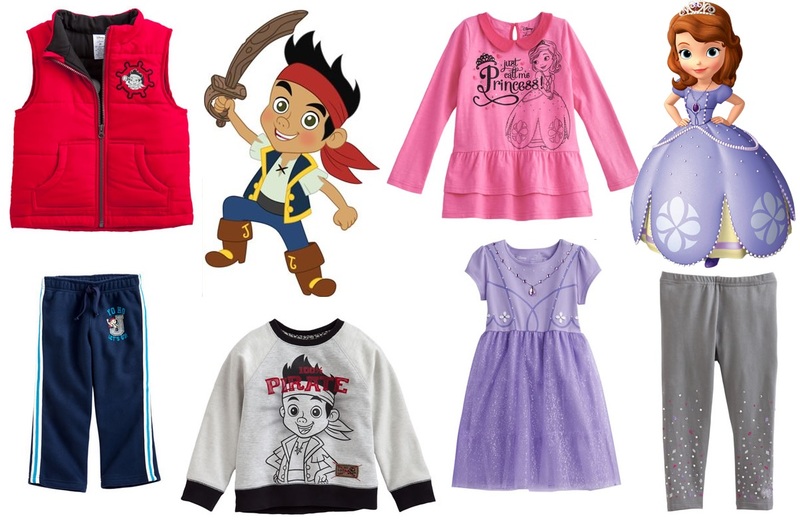 The new Jake and Sofia collection (available since July 28th) allows boys to embody the adventurous spirit of Jake and the Never Land Pirates while girls will learn to be royal with the Sofia the First character apparel. I received a sample box a few days ago, and checked out the collection in-store myself, and I must say this collection is fun, playful, and as cute as can be! The boys collection consists mostly of sweats, long sleeves, hoodies, and my favorite piece - a red puffer vest. All great options for back to school, or playground fun. While the girls collections is made up of tulle dresses, tees, long sleeves, skirts, and leggings. I was thrilled to see how they married whimsical details with practical wear in this collection. Like my favorite piece - the Princess dress with the built-in rhinestone necklace and sparkly tulle skirt. Every girl wants to feel like a princess, right? But it’s still practical to wear for every day and is not too costumey which is important. My daughter picked out a few pieces from the collection herself and came up with a really cute outfit! She paired the heart tiered scooter skirt, with a Sofia character tee with a tulle detail on the sleeve. I think it would make a great for a first day of school outfit, or maybe even a fun weekend party outfit! What will your kids be wearing this school year? The Disney apparel Jake & Sofia collection by Jumping Beans is available in toddler and girls and boys 4-7 sizes, and is in-stores and online now.